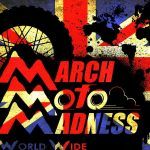 The event has various zones covering over 22,000 sq meters of space - about the size of four football pitches making the Manchester Bike Show the largest indoor motorcycle show in the North of England. Attending will be a large variety of exhibitors and traders including Ducati​, Chester Harley-Davidson​, Honda, Kawasaki, KTM, Royal Enfield, Suzuki, Triumph and Yamaha, local and national dealers, clothing and helmets, parts and accessories, touring holiday companies, along with many other exhibitors that you would expect to see at a bike show of this size and stature, including THE BIKER GUIDE on stand 417. 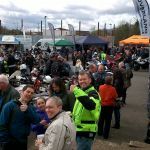 In 2016 16,500 motorcycle enthusiasts attended for an unforgettable action packed day and weekend out for all. Since 2012 they have doubled the floor space, doubled the number of trade exhibitors to 120 individual companies, doubled the number of participating clubs to 50, doubled the number motorbikes on display to over 1,000 and doubled the number of visitors. 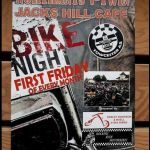 Lots of Motorcycle clubs attending, including BMF, Ducati Owners’ Club, Gawsworth Jesters, Goldwing Misfits​, Honda Owners’ Club Manchester, NABD, Rainy City Harley-Davidson, Rigby’s Guardians MCC, Royal British Legion Riders and the Chunky Tread Motorcycle Adventure Club​. Clubs and individuals are welcome to display their bikes. Entry forms on the website. price: Pre-book: Adult: £14. Senior 65+: £12. Child (5-14): £4. Two adults & two children: £32. OTD: Adult: £17. Senior 65+: £15. Child (5-14): £4. Two adults & two children: £37. Enjoy a ‘Biker’s Special’ meal for just £6! Valid in the restaurant throughout March 2017 when you visit on two wheels! This 4 hour course combines CPR and AED training with serious injury assessment when dealing with trauma, head and spinal injuries. You will learn how to deal with bleeding, strains, sprains, dislocations and how to manage spinal injuries. price: £45. 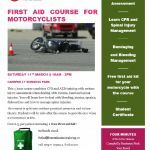 Price includes, Student Certificate, Training equipment and first aid kit for your motorcycle. Take in the fantastic countryside, see sights you might otherwise miss, ride great roads to suit all tastes. Plan your journeys for the summer and visit up to 95 places across the mainland UK and stack up your points. Choose to visit as many or as few places as you want, design your own route from a list of places supplied... there are plenty of options to suit all riders! Join them and raise money for your favourite charity. Certificates are provided to show completion. Whatever you ride have a fantastic Summer on great roads. price: £29 Rider, £15 Pillion. Included in the entry is an event tee shirt. price: Adult: £6. Child (7-14yrs): £2. Under 7's free. Inside event, with up to 130 stalls. venue: Old Market Building, Brook Street, Huddersfield, HD1 1RG. Open from 10am. price: Adult £14.50,Child £9.00, Concession £13.50, Family A (1 adult and 1 child) £21.50 and Family B (2 adults and 3 children) £48.50. Tragedy (All metal Tribute to the Bee Gees), Kiss UK, Small Weller, Hey Pixies, Fallen (Evanescence) Glam 45 Plus The Indianna's, Monkey Harris and More. Bar and Hot food stalls. venue: The Pavilion Gardens Buxton, St. Johns Road, Buxton, Derbyshire, SK17 6BE. 12:45 – 23:00.
price: Pre-book: £12 by March 10th. OTG: £15. Children under 10 £6. Start Daytona Bike Week out on a positive note! Join the ladies of Leather & Lace MC as they have their annual bike blessing. Bikers compete for coveted prizes and bragging rights at this annual event! Biker games, prizes, food, vendors, music AND the popular biker auction. Highest bidders walk away with some amazing items! Biker rodeo during Daytona Bike Week! Be a part of it! venue: Leather & Lace MC Clubhouse, 574 W. Ariel Road, Edgewater, FL 32141, Volusia County, USA. Look for signs. Celtic rock and reel band mixing in rock and pop classics. Round 1 of the 2017 Nifty Fifty Endurance Championship, now open for registration. You don't have to do all the rounds to take part. See the website for full details. Booze Brothers Rock Disco. EXHIBIT A playing live. Bar, raffle, food, free camping, 24hr loos, ramped access for disabled. A well supported, friendly show set in the beautiful village of Wistanstow South Shropshire. A varied array of display bikes and auto jumbles. The Guest of Honour is Peter Williams, renowned former Grand Prix motorcycle racer. A varied array of exhibitors in the vast Wistanstow Hall. Autojumblers and hot and cold refreshments available. The event is sponsored by The Woods Brewery and all proceeds to Wistanstow Primary School. venue: Wistanstow Village Hall, Wistanstow, Craven Arms, Shropshire, SY7 8DQ. Gates open 10.30am. price: £3 on the day per person includes free parking. Iinfamous hot and cold refreshments will be served by the local school PTA. Car and Bike Autojumbles. On site farmer’s café. price: Adult £3.50, Child under 14yrs free. Indoor and outdoor pitches available. Free parking. venue: Starts: Tattenham Corner, Epsom, Surrey from 8am. Finishes: Madeira Drive, Brighton, Sussex from 10am. price: Free to visit, entry to the paddock at Brighton is by Programme available on the day at £3. The event has various zones covering over 22,000 sq meters of space - about the size of four football pitches making the Manchester Bike Show the largest indoor motorcycle show in the North of England. Attending will be a large variety of exhibitors and traders including Ducati​, Chester Harley-Davidson​, Honda, Kawasaki, KTM, Royal Enfield, Suzuki, Triumph and Yamaha, local and national dealers, clothing and helmets, parts and accessories, touring holiday companies, along with many other exhibitors that you would expect to see at a bike show of this size and stature, including THE BIKER GUIDE. price: Pre-book: Adult: £14. OAP: £12. Child (5-14): £4. Two adults & two children: £32. OTD: Adult: £17. OAP: £15. Child (5-14): £4. Two adults & two children: £37. Join us for waffles from 9 - 11:30am. It has since grown to include simultaneous World Wide events in Japan, Spain, Taiwan and in the UK, with the date set for 2016 as 31st March to 3rd April. In 2017, be part of the world’s largest adventure riding rally at Haggs Bank up in the stunning North Pennines, where you can have a great time, knowing you are part of an event across the world and at the same time! The spirit of adventure and a make-it-happen attitude are essential. With Road ride-outs, Big bike off-road trails, beginners off-road trails, silly bike riding competition, good food, local beers, music, fire pits and meet up with like-minded folk, along with world travellers who can offer advice and inspiration. price: £10 entry, plus camping or bunkhouse. Must be pre-booked by 21st March, as price includes some meals. £45 Camping. £65 Bunkhouse. Both options include 2 nights accommodation, meals on Friday and Saturday night and a free t-shirt! Cooked breakfasts will also be available to purchase on the Saturday and Sunday mornings. Launch Night, then every Thursday come rain or shine, until September 2017. 6pm - 10pm. Food and Drink available. Petrol Station close by. Large Bike parking only area. All Welcome! tel: 01778 346952. Call to book your table.